Dairy proteins are complex organic molecules with functional and nutritional properties. They are essential to life for every living organism, and can be found in all of them. Because of their various properties and biological activity, proteins are commercialized as ingredients in numerous products such as food supplements, drugs, cosmetics and food additives. The rising global demand for dairy-based products, growing market for pediatric foods, and global trends in health and wellness, along with an increased popularity of protein consumption, are the major factors contributing towards this market’s growth. In addition, plant proteins derived from various vegetable sources are becoming an integral part of food & beverage industry, providing intense competition to animal proteins. 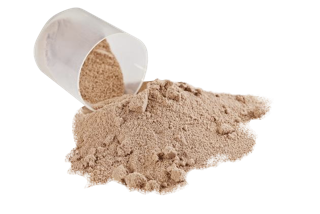 The plant protein market is expected to expand, since growing demand for protein products and the attractive amino acid profile of plant proteins have increased the demand for plant protein ingredients in the market due to the population increasing. Most of these proteins are commercialized as powders. The downstream process is composed of two major phases: extraction/purification and drying. The first phase produces a dilute solution of purified proteins. Since proteins are thermo-labile molecules, which can be easily denatured by heat, this solution is dried, most of the time, directly using spray-drying. This technology is particularly energy-consuming. The more the solution is dilute, the more water needs to be removed, and the more time and energy are needed. The evapEOs process could concentrate milk-based solutions in mild conditions of temperature and pressure which would guarantee no degradation of the proteins. Using this innovative process as a pre-concentration step before spray-drying or freeze-drying would reduce the amount of water to be removed and, subsequently, the cost of the drying step.